After her fourth child, Ana Fuentes and her husband decided that baby would be their last. So the Santa Ana, Calif.-based account executive and her doctor decided to implant Bayer's permanent birth control device, Essure, like hundreds of thousands of other women throughout the world. But the unexpected excess bleeding and debilitating pain didn't stop for three years after the procedure, and Fuentes underwent a hysterectomy. While the bleeding stopped, the pain didn't. She ultimately lost her job and her apartment. She found a foster family through her church who could give her kids a better quality of life. "After Essure, my bleeding wouldn't stop," Fuentes said in Netflix's documentary "The Bleeding Edge," adding that she had to wear diapers. "I couldn't even function as a wife to my husband, and eventually he ran away." The 4-centimeter metal coils that were designed by Conceptus and later bought by Bayer could be quickly implanted in a nonsurgical outpatient procedure touted as 99% effective. The coils are inserted into the fallopian tubes, where they are intended to spur the growth of scar tissue that blocks sperm from fertilizing a woman's eggs. Bayer recently announced that it would stop selling the device in the U.S. at the end of the year. The news came about a week before Netflix's documentary debuted Friday and after the U.S. Food and Drug Administration placed multiple restrictions on the device following patient reports of pain, bleeding, allergic reactions, pre-term pregnancies, mood disorders, hair loss, weight gain and cases where the implant punctured the uterus or shifted out of place. Some had multiple devices in them because a Bayer sales rep overseeing the procedure would tell the doctor to implant another if one was displaced, women said in the documentary. Bayer said its plan to pull the device was solely a business decision, based on declining sales. "The positive benefit-risk profile of Essure has not changed and has been demonstrated in extensive clinical trials, post-approval studies and analyses of real-world evidence over the past 20 years," the company said in a statement. The U.S. is the last country to keep Essure on the market. Bayer pulled the device everywhere else last year. More than 16,000 women have sued Bayer over Essure. 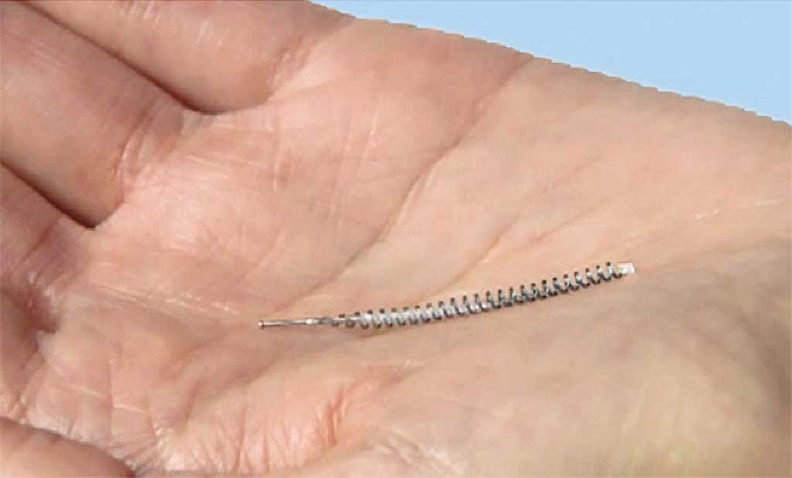 Nearly 12,000 adverse events related to Essure were reported last year. Essure was cleared by the FDA in 2002 through it's pre-market approval process, which is the most stringent pathway to get a device approved. But even that process is not very strict, experts said, needing only one study that is often small, unlike the two required for drug approvals. The lead investigator for Essure's clinical trials owned stock in Conceptus, transcripts of the approval meeting revealed, where many of the regulators' questions went unanswered. "Seven long years of fighting to get Essure off the market has finally paid off," said patient advocate Angie Firmalino, who started a Facebook group for women negatively impacted by the device that's amassed tens of thousands of followers and spawned similar groups worldwide. Essure was one of several devices analyzed in the documentary, detailing dozens of cases where patients have been harmed by devices that received minimal testing. The documentary also takes a look at mesh implants, the da Vinci robot and metal hip implants.